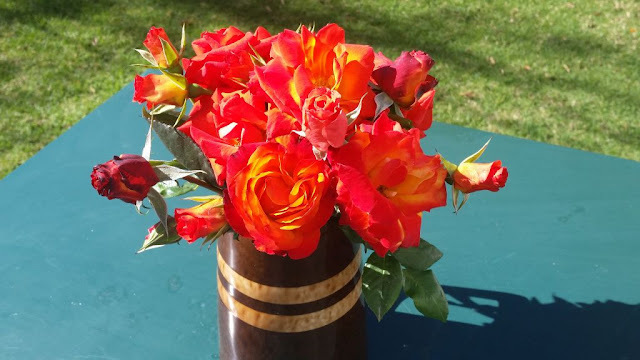 In season we do not as a custom, pick roses for the house. 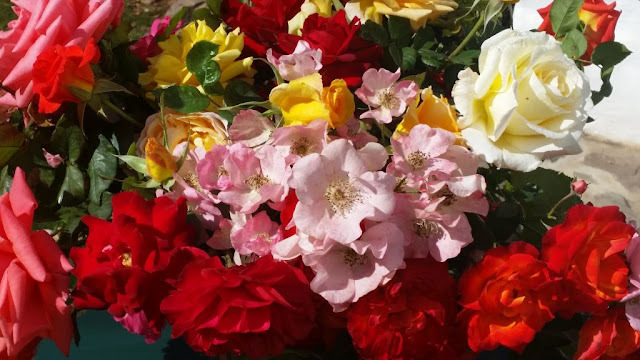 The reasons for that are, that we prefer the roses in the garden and we are normally only there intermittently and for short periods. We enjoy the display in the garden where it can be enjoyed by everyone. The pruning of the roses in winter means that there will be a festival of rose bouquets in the house. Bouquets that are made up of all the late blooms on the bushes that are picked ahead of the pruning. This year the garden did not disappoint, with the variety of blooms that were still available in August. The sheer luxury of roses in the house in the middle of winter was a joy to come home to after a summer holiday in Europe. 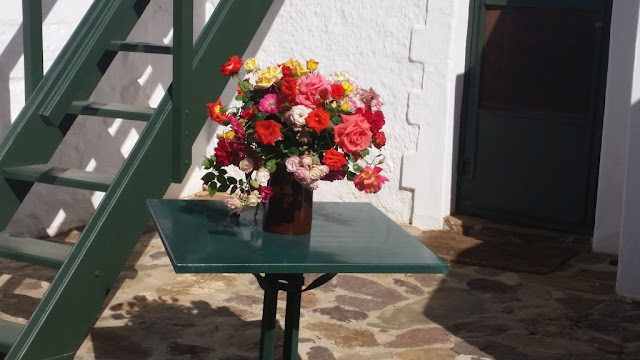 It was like bringing sunshine into the cold house where the colour and fragrances filled the rooms with memories of summer. 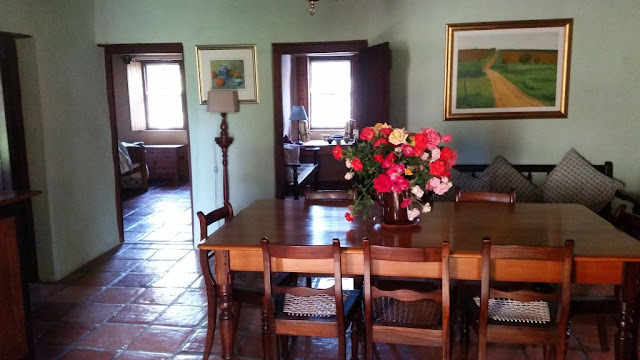 I expected to find Monet or Renoir somewhere in a room, trying to capture a scene that is beautiful in its transience. With memories of the Pierre Auguste Renoir paintings of roses in the Musée d'Orsay and the Musée de l'Orangerie in Paris fresh in our minds, one realises what must have moved him to capture the bouquets on his canvases. 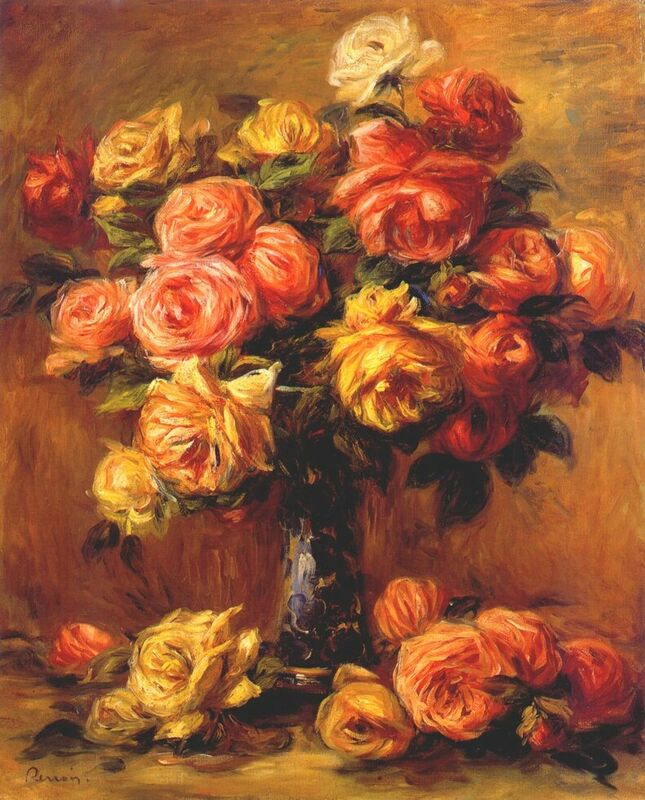 The vibrancy of the image of a vase exploding with the colour and texture of the different roses, moves me to want to fetch a canvas and capture that one moment of rose abundance. 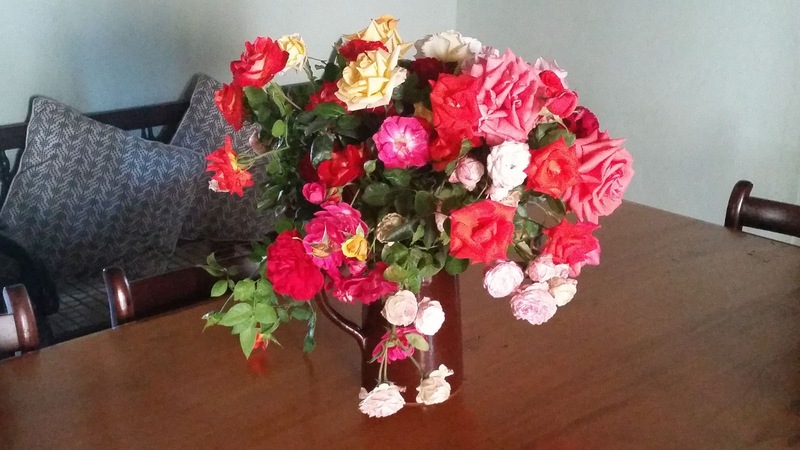 Our garden could not have given us a better welcome home gift than this abundance of roses. 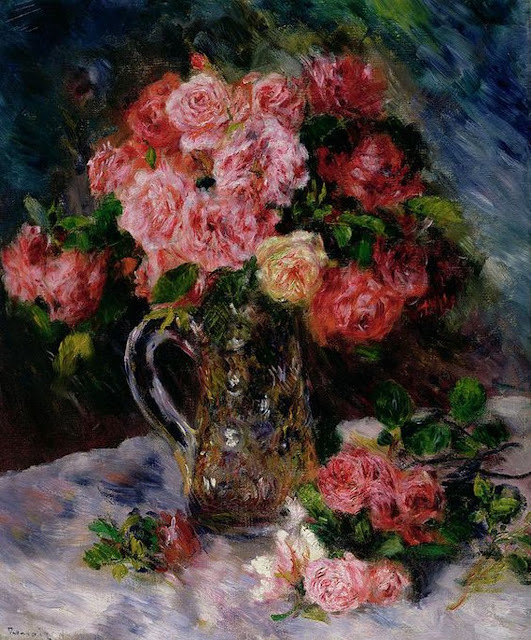 It will be, for a brief period, a still life with roses that asks to be painted and become more than a memory. Wow! I enjoyed your post and the lovely images of your roses and of the paintings. What a wonderful finale to the rose season. Great post - love the Renoirs.